I’m inspired to write this article because when I posted new designs on The Ark Tarot & Oracle Deck Facebook page – nothing happened. 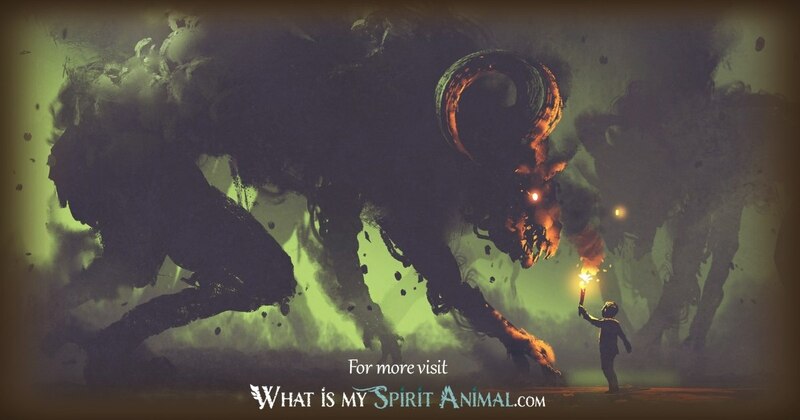 Other Ark Tarot images have gotten over a thousand responses but when I posted a few of the “shadow” animals you could hear crickets on my pages. Oh. 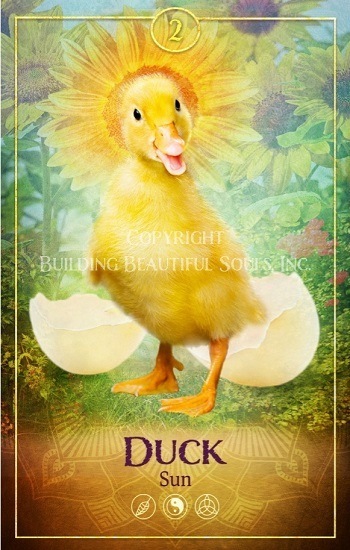 Post a fluffy yellow ducky and the crowd goes wild. But post a Snake, Shark, or Fly? It was like the zombie apocalypse swarmed Facebook and everyone but literally a few ran for the hills. From hundreds of comments and Likes to zippo. Based on the radio silence that’s a big Nope-4. I mean I realllllyyy get it. I’m a triple Scorpio who Shamanic journeys to find and recover the fragmented pieces of people’s souls. It can be messy. I talk to dead people and animals. This means that daily, I walk with death and hold space for the grieving. The underbelly is of the Universe is my Disney World. Be they animals, angels, or the monk you saw in last week’s spirit guide meditation most want to think of our otherworldly allies as winged, fluffy bunny types who shower us with love, compassion, and cotton candy. 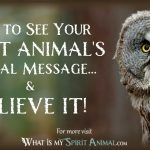 However, if you truly want to work with your guides – especially animal spirit guides – in an authentic way then you must be open to the side of Spirit Animals that nobody talks about. The Shadow Side or Shadow Self. 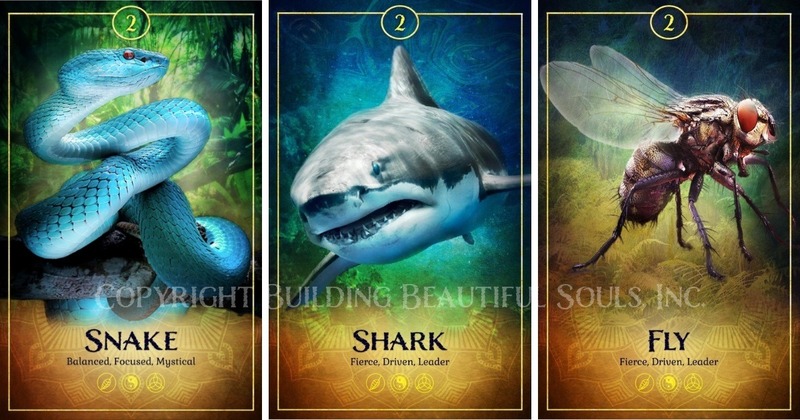 BTW – if you haven’t heard of my project – welcome to The Ark Tarot & Oracle Card Deck! Join us on Facebook! 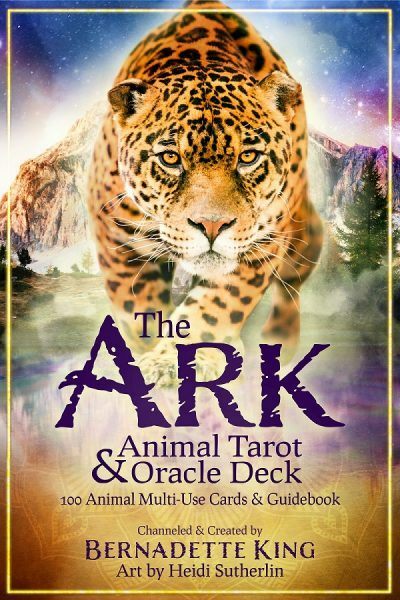 To get on the pre-order newsletter list and learn how to support our Kickstarter campaign starting March 20, 2019 click on the image or The Ark Tarot & Oracle Deck. Below are the shadow critters I posted. They aren’t that scary, right? No. Of course they aren’t. Now, let’s get to work! The article continues below the image. Simply put, our ‘shadow self’ is the personality’s dark side. Often referred to as our more base, animal instincts (which irks me because animals are so much more refined than humans) our Shadow Self is the storage locker for greed, lust, fear, envy, ego, hate, rage, shame, jealousy, judgment, deceit, and more – pretty much any perceived “negative”, “unacceptable”, “sinful”, or “evil” characteristic we want to hide from others as well as ourselves. That’s just one way of describing The Shadow Self. Cultures the world over have for decades (and some centuries) had their own variation on the theme. Other names can be ‘a dark side’, ‘fragmented soul’, ‘a demon inside’ and ‘attachment to ego’. Hinduism and Western Esoteric Occult systems speak of “Right and Left handed paths” when working toward becoming more integrated with the Higher Self. Left is associated with the shadows or dark. Muslim, Chinese, Judeo-Christian and Hindu religions believe the left hand is the unclean one. At the end of the day, most spiritually related teachings speak to a Shadow Self and agree it should be faced, recognized, and healed. But the Shadow Self isn’t all ‘bad’. Carl Jung said, “The Shadow is ninety percent pure gold.” He believed the “Golden Shadow” is where our hidden or submerged creative potential resides. Just as we ‘disown’ our negative shadow traits so, too, can we disown our greatness. It could be argued that shunning our light, our potential, is equally as dark as whatever is being held prisoner in our Shadow Self. That concept could be confusing. How is hiding our light equal to ignoring our darkness? Because a light can only be hidden when trapped in total darkness. When we allow our Golden Shadow to push through the blackness incredible works of art, cures to illnesses, tremendous humanitarian efforts, and amazing animal rescue/rehab achievements are made. Out of immense pain can often arise extraordinary beauty. 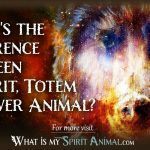 Before reading the next part take a minute and read about the difference between Spirit, Totem, & Power Animals. Today psychiatrists, psychologist, psychoanalysts, counselors, and self-help gurus espouse a billion ways to heal and shed the Shadow Self. This is called Shadow Work. Buddhism and Zen teachings speak of the need to let go of ego so as to attain enlightenment. Shaman might perform a ‘soul retrieval’. Christians speak of a ‘casting out the demon inside’. In Eastern medicine, acupuncturists and herbalists focus on healing the liver – where all the ‘darkness’ is stored. When facing your Shadow Self, working with Spirit, Totem, & Power Animal energy and medicine can be a much gentler and easier way to do so. It can be extremely difficult to look in a mirror. We may be repulsed, frightened, or ashamed by who stares back at us – especially because it is what we consider to be the dark side of ‘us’. But having an animal spirit guide meet you in that mirror could make some hard self-truths easier to discover, acknowledge, and accept. No matter which method you chose, admittedly, Shadow Work isn’t a fun process. That said, if you wish to be healthy, whole, and happy, discovering and dancing with your demons (doing the Shadow Work) is an imperative part of your spiritual journey. *Special Note* I am not a medical professional of any kind. The advice and opinions stated here are my own and 100% based on my metaphysical and spiritual beliefs and absolutely should not take the place of licensed medical professional services. If you are experiencing emotional and/or mental health issues I urge you to see a medical professional ASAP. When we allow our Shadow Self to lurk about in our unconscious, it can wreak all kinds of damage in our waking life. Suppressed Shadows can be responsible for addictions, low self-esteem, lack of motivation, inability to connect and love, suicidal thoughts, fears of all kinds, and more. As humans, we’re taught to punish those that are ‘bad’. Having Shadow personalities prowling around in our unconscious can cause us to do things like self-sabotage a relationship, career, or education because, unbeknownst to our conscious mind, we are punishing our ‘bad self’. The Shadow Self easily creeps in to harm us emotionally and mentally but it can damage our physical as well. In Ayurveda as well as Eastern, holistic and alternative medicine it’s believed The Shadow Self is responsible for the onset of mental and emotional which bring about physical illnesses. For example, perhaps feelings of unworthiness or lack of experiencing true love might bring about Diabetes due to our not receiving enough ‘sweetness’ from friends, family, or just plain life. For negative body image sufferers, an autoimmune disease might manifest due to its being a malady wherein the body turns on and attacks itself. By unmasking these Shadow traits, you could potentially heal what’s going on in your body. Your soul is perfect. But your spirit may need healing so you can live your best, most authentic and joy-filled life. The fantastic news is your Spirit, Totem, & Power Animals can help you move through this journey gracefully and with gentle self-compassion. The best news is when you get on the other side of the process, you’ll feel a freedom like never before. Doing the work will be soooooo worth it! Every healer I know advises their clients to journal. It sounds like a wonderfully cathartic experience. And clients can feel good about themselves for getting in there and working toward their goal. Except very few of us follow through – though science has proven the benefits of journaling. So, if you’re really ready to face your Shadow Self keep a calendar of your emotions. Do it for just a week. Write down all the details you can about the ‘trigger event’. Where were you? Who else was there? How did you feel? What do you consciously think contributed to the occurrence. At the end of the week review the calendar. Can you see any patterns? Write them down. Jung is often quoted saying: “Everything that irritates us about others can lead us to an understanding of ourselves.” The idea is that whatever bothers you in another is very likely a disavowed part of yourself. Let’s say that someone else’s dishonesty angers you. What part of you is dishonest with yourself or others? Focus on one emotion at a time. 3. represents someone who triggers you emotionally. Then go into a Spirit Animal Meditation. During the meditation, ask your animal spirit guide to step forward. There might be more than one animal ally which presents. Once you clearly see the animal, thank him or her for being willing to be by your side on this quest. 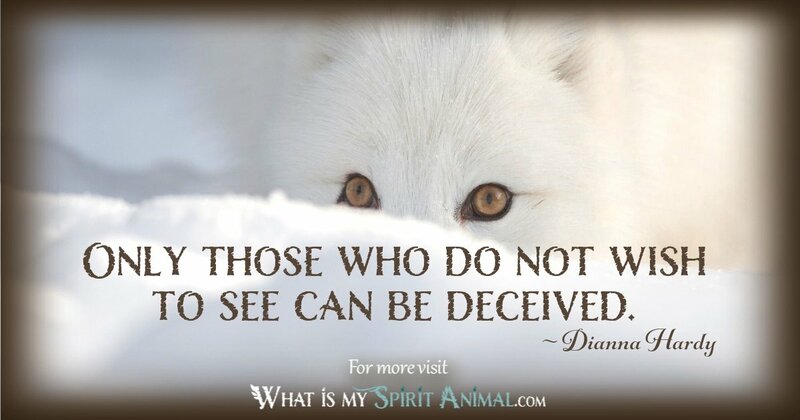 When your Spirit Animal has had its say, you’ll feel the energy begin to dissipate. You might see them walk, run, fly, or swim away. Or, they may simply vanish. It’s then time to come out of the meditation. What each animal spirit guide said to you and how they said it. Was it telepathic? Did you hear their voice? Did they howl, hoot, hiss, roar, etc? How many came to meet you. 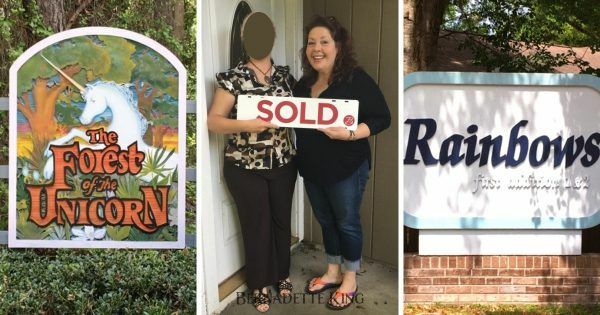 When their visitation was concluded did they walk, run, fly, or swim away? Did they simply disappear? Was it summer, winter, fall, or summer? What elements were most prevalent – Earth, Air, Fire, Water, or Spirit? For those of Asian descent metal and wood might appear elementally. What cardinal direction (North, South, East, West) did they come from and which direction did they take when leaving? How you feel after meeting the Spirit Animal. Are you encouraged, ashamed, afraid, inspired, sad, angry, scared, humored, etc? The color meaning of the animals. The Numerology meaning (how many animals showed up). 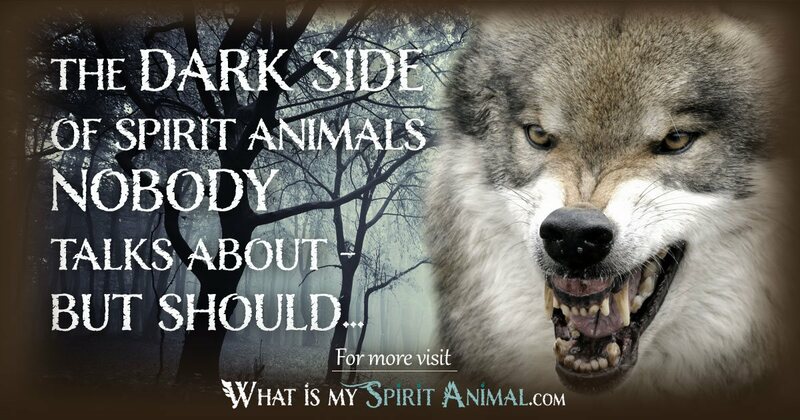 The Spirit Animal Meanings of each animal. Once you’ve noted all the symbolism you think relevant to your experience take some time and just sit with the info. Don’t rush to make a decision about what this or that means. Give the wisdom and insight time to season out. Let’s say you discover one of your Shadow Selves is the archetype of protector/controller (because if you read the archetype articles you know that every positive archetype has a mirror negative or shadow side). And, let’s also say that even conceiving of the fact that you might not actually be a natural hero but rather you ‘appear’ to be because what you really want is to be in control. Not so heroic, huh? And likely a bit of a tough pill to swallow. 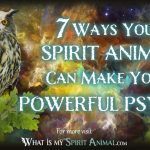 By invoking your Power Animal, their energy and medicine can give you the courage you need to face that part of yourself. Nobody could love a person like me. Whatever Power Animal appears, let them do their job. As you face your Shadow Self your animal ally will know what energy to send. Remember, however, that your Power Animal is part of you – not separate from you. 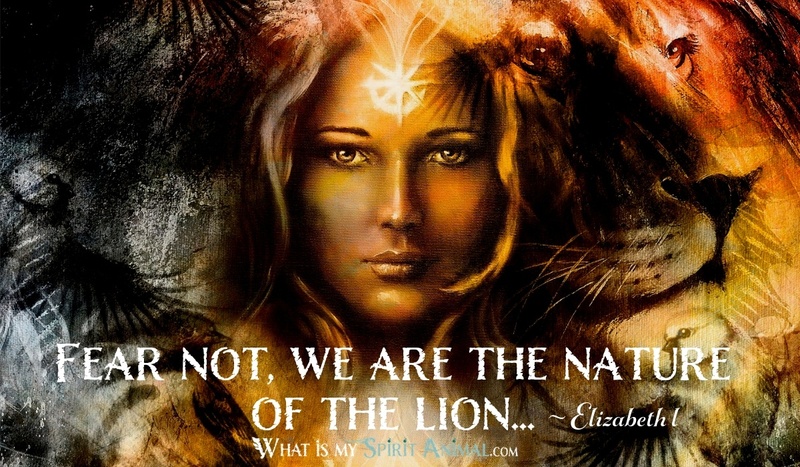 Meaning, when you invoke a Power Animal what you’re really doing is connecting with that part of yourself that IS a Lion, Otter, Hummingbird, Spider, etc. AND you’re bringing in the animal kingdom spirits from beyond the veil to support that part of you. Remember your Totem Animal is who you really are – at your core. Today you’re facing the Shadow Self but it’s important to keep reminding yourself that YOU are not angry, dishonest, controlling, jealous, fearful, weak, etc. Your Totem Animal is whole, balanced, centered, healthy, and happy. During the Shadow Work process, when you experience self loathing or recrimination, stop. Ask your Totem Animal to appear to you. 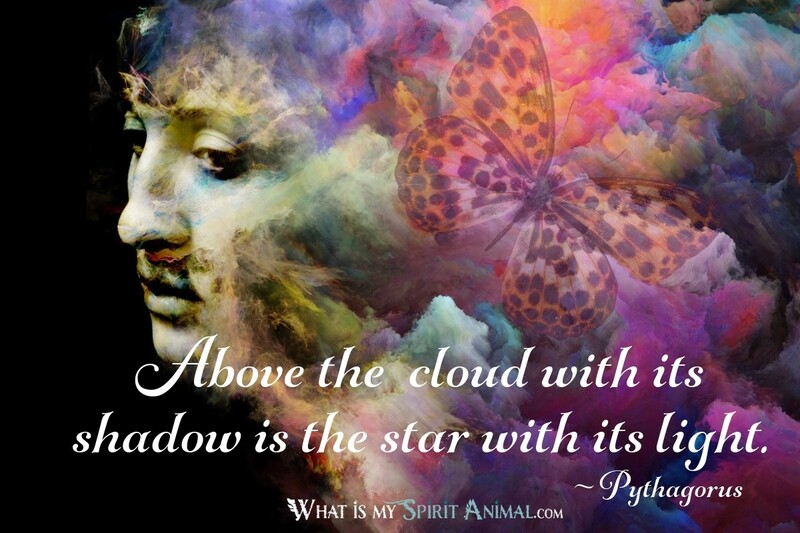 Whereas when you call in your Spirit Animal an ill or injured animal may appear as one of the archetypes, your Totem Animal will shine in that creature’s best light. If a Horse gallops in it will be the most beautiful stallion or mare you’ve ever seen. When Dolphins swim up to meet you their smile will brighten your spirit and their childlike chatter may even make you laugh! That’s awesome! Allow it to happen. We all have ‘stuff’. But you’re choosing to set your soul free. Is there anything more beautiful and wild than the human/animal spirit? Me and the animal allies are so proud of you for walking down this path. You’re doing great! Very interesting article. I intend to do more work on this direction. Many animals show up in my life. Some are sweet and uplifting and some are warnings. I take them all seriously . Much more work to do. Thank you.